Did you miss me? I missed you. I took a break from makeup for the month of October. More particularly, I didn't buy any new makeup for the month. I just stuck to my routine, used my go-to products, and didn't really experiment with anything new. It was...hard. But it's no longer October and I'm back to my ways. Included in the order I placed at Ulta.com on November 1st was a new mascara from Benefit. 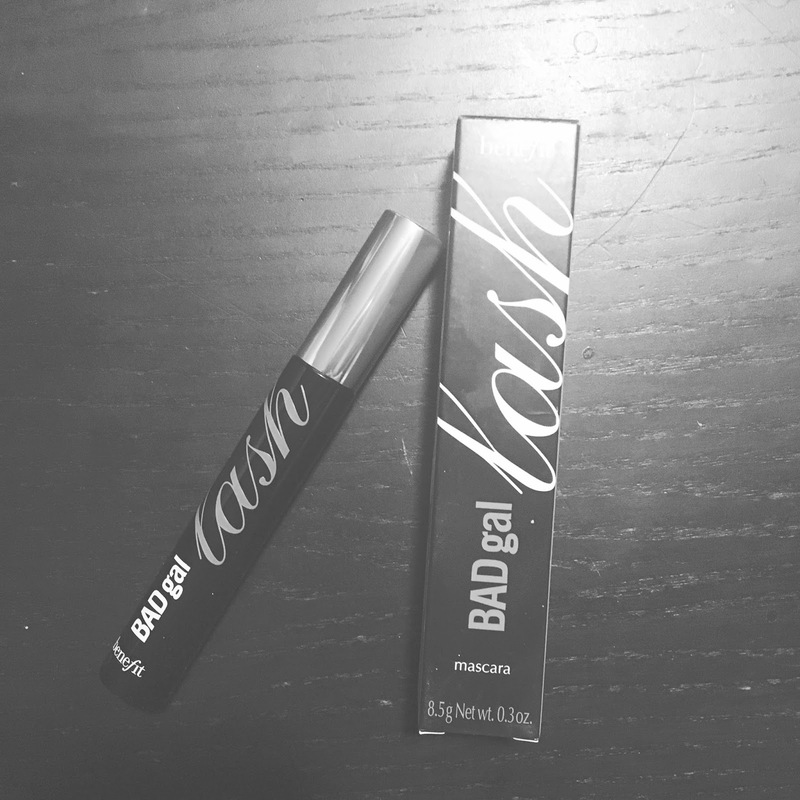 It's called BADgal and let me tell you, it is appropriately named. Not because it's edgy or provocative but because it's--well, it's bad. I bought it because it looked like it had my favorite sort of brush: big and fibrous. Plus, so many people love the They're Real mascara that I thought maybe (with this also being from Benefit) it would have a similar formula but a different brush and I'd finally be in love with something from Benefit. Not so. It's dry and clumpy and really does nothing for me. I might return it or I might see if my sister has a different opinion of it and wants to keep it. I haven't decided. But one thing I'm sure of is that I won't be buying this bad mascara again.